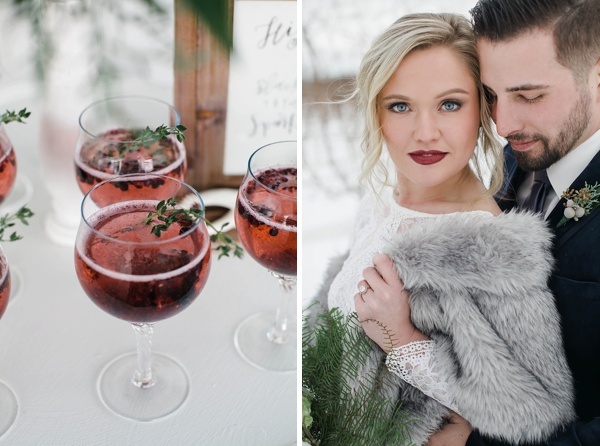 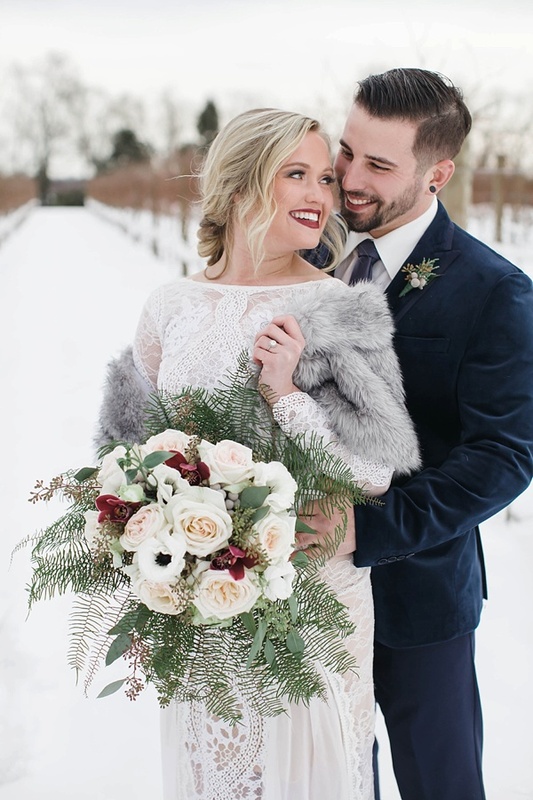 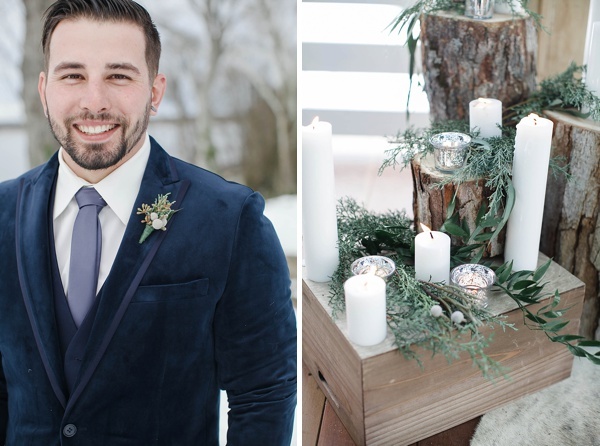 There's not a better description than "walking in a winter wonderland" for this beautifully cozy wedding inspiration. 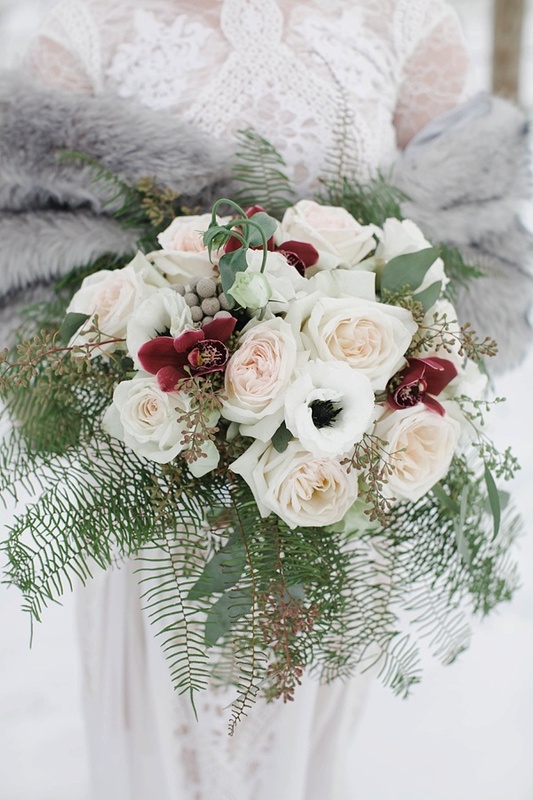 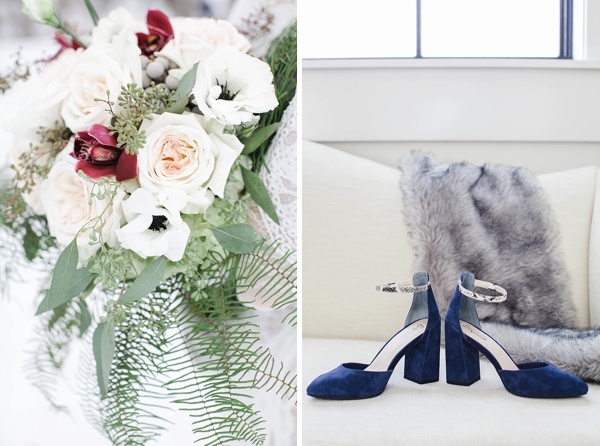 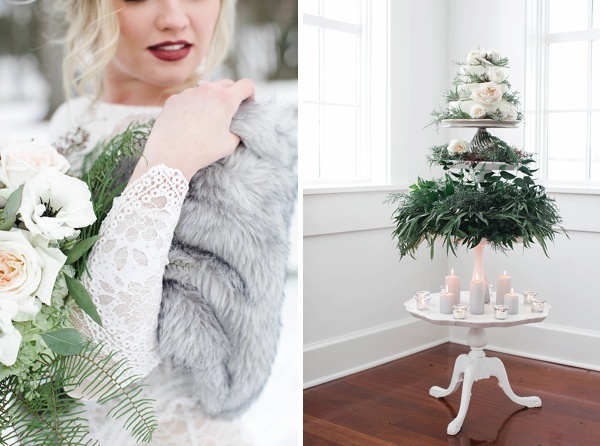 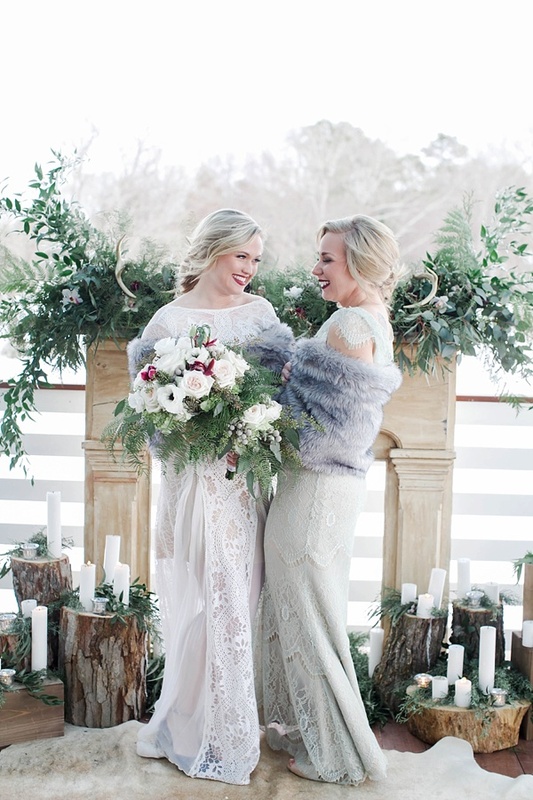 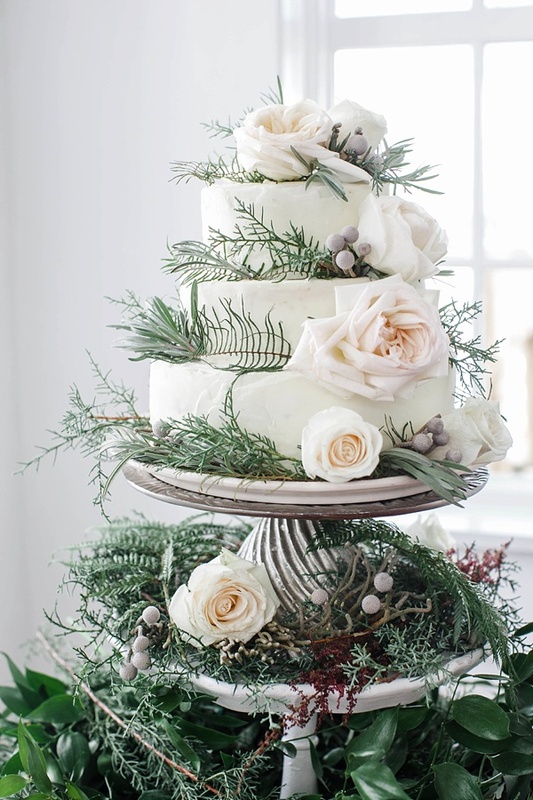 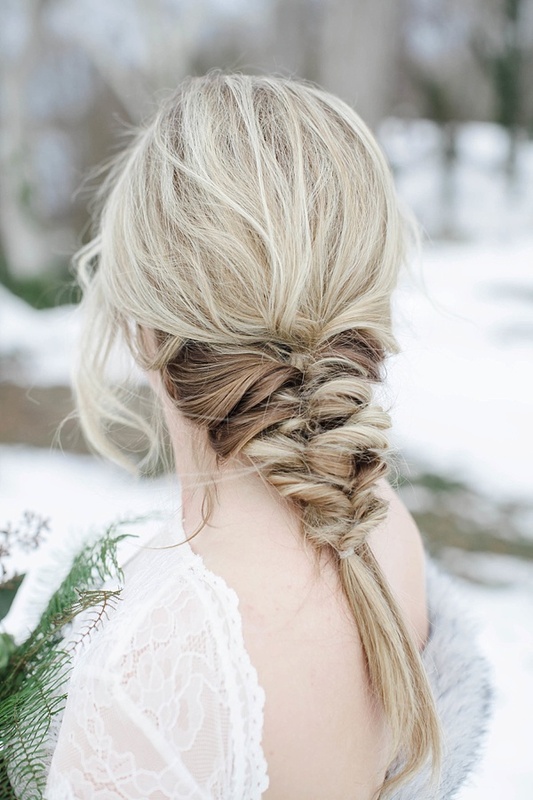 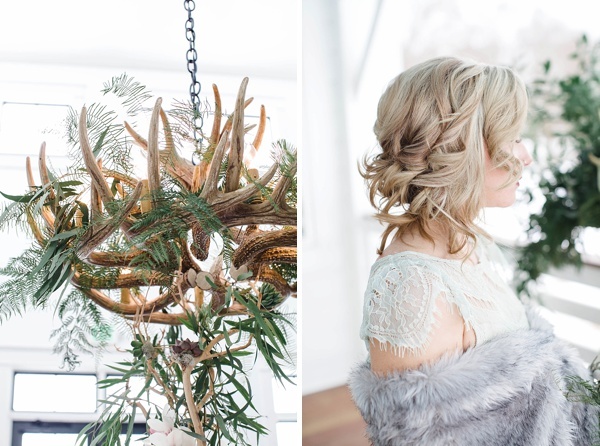 With soft feminine appeal juxtaposed with rustic masculine textures, we are in absolute snowy matrimonial heaven! 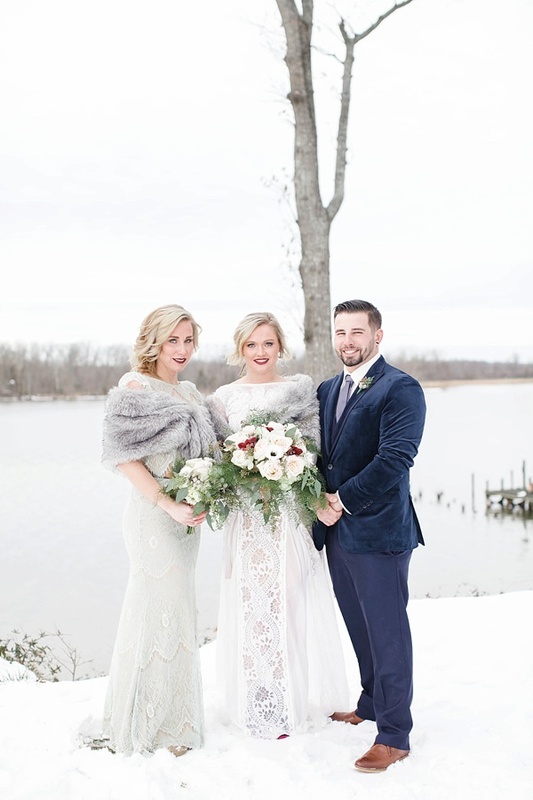 Photographed by Erin Kling Photography and coordinated by Elevated Events of Virginia on a perfect post-blizzard day at Upper Shirley Vineyards, the wedding party radiates elegance and warmth with a luxurious dark blue velvet suit and delicate sage green lace bridesmaid dress paired with a faux fur pewter gray stole while the bride reflects contemporary romance in a sleeved, low back ivory-colored wedding dress with a boatneck neckline and hand cut motifs. 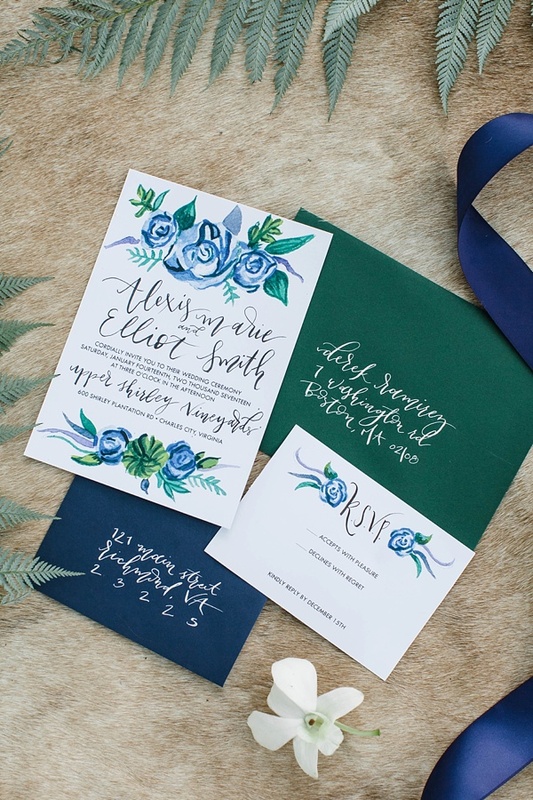 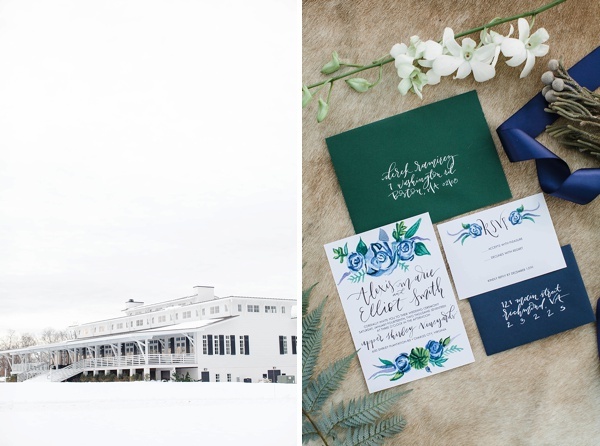 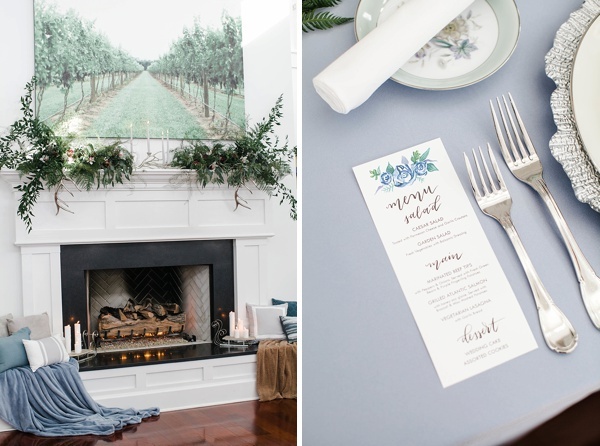 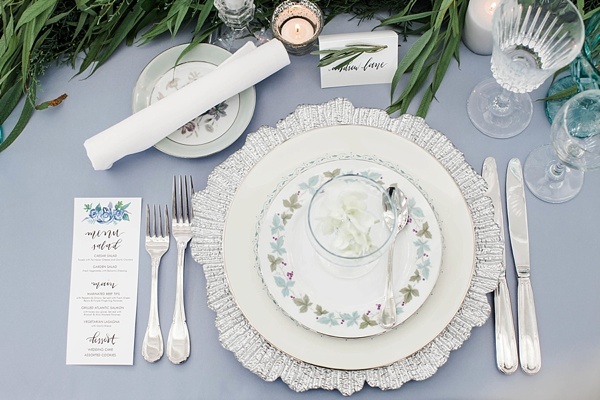 A color palette of rich navy blue and emerald green perfectly complement the more subtle gray, icy blue, and earthy brown in the curated ceremony and reception details. 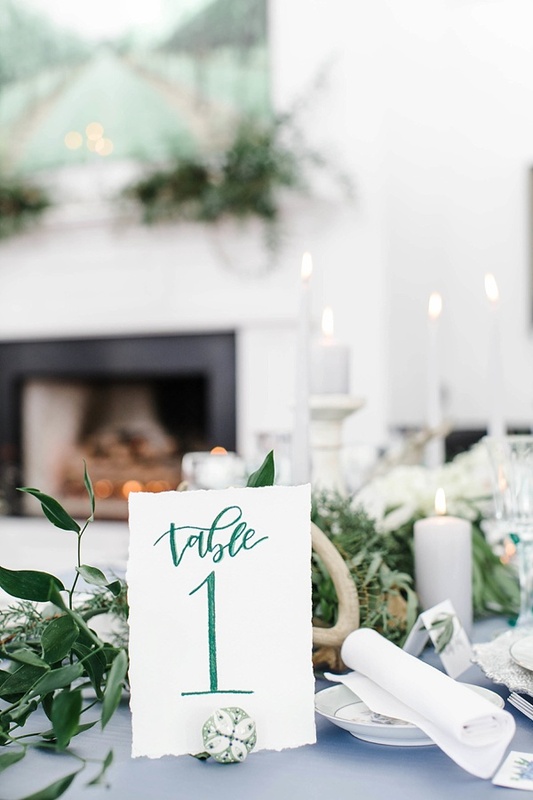 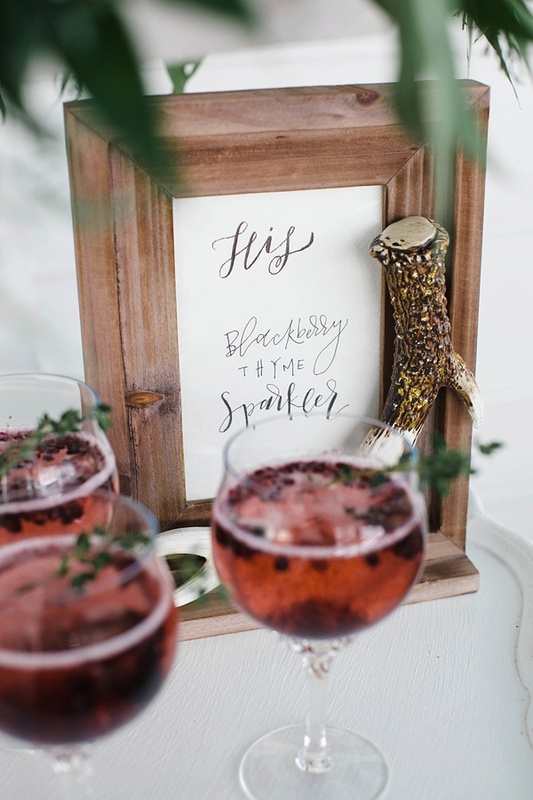 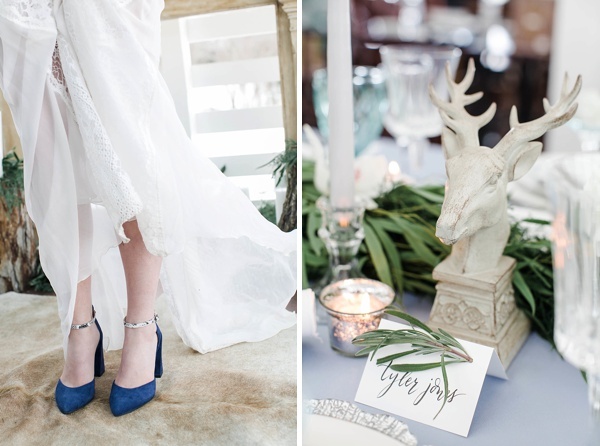 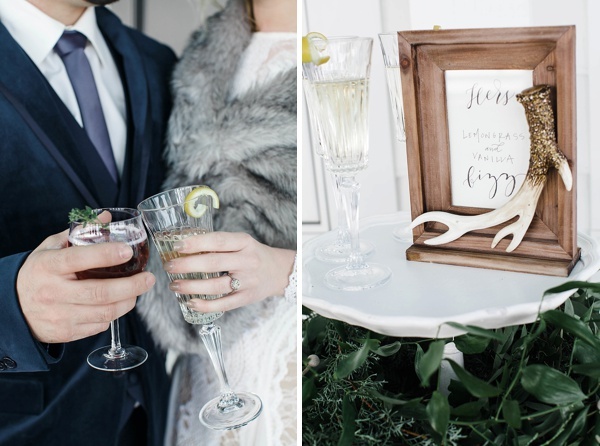 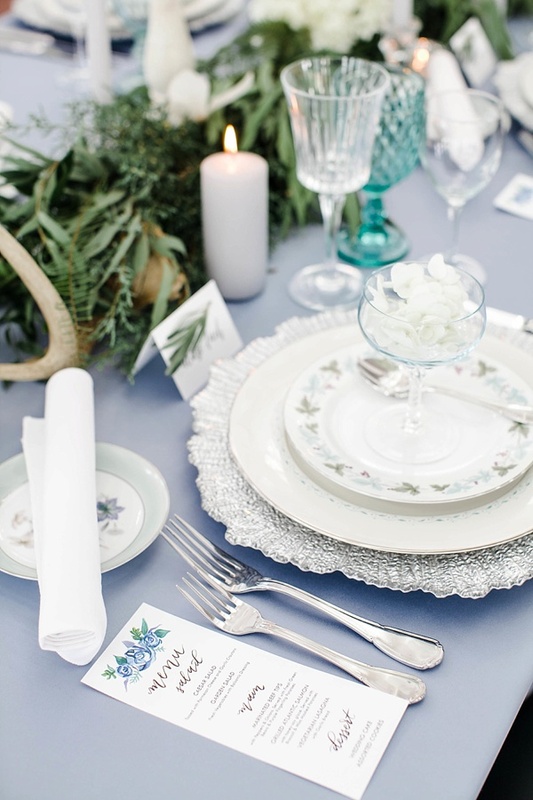 Between the deer antler chandeliers, raw wood tree stumps, and wildly foraged greenery, everything set the tone for a celebration inspired by nature in its coldest season! 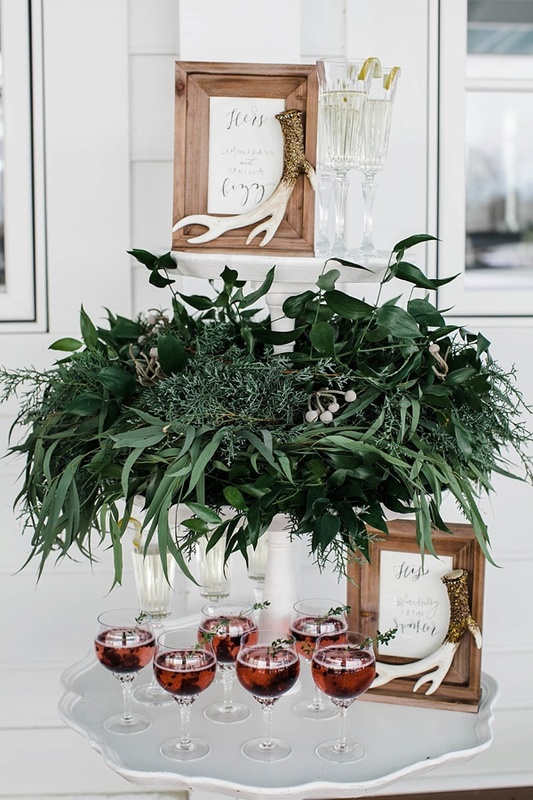 Some of our favorite details include the his and her signature cocktails, a loosely braided bridal ponytail, high-low candle arrangements at the altar, and pops of crimson red orchids nestled in the florals. 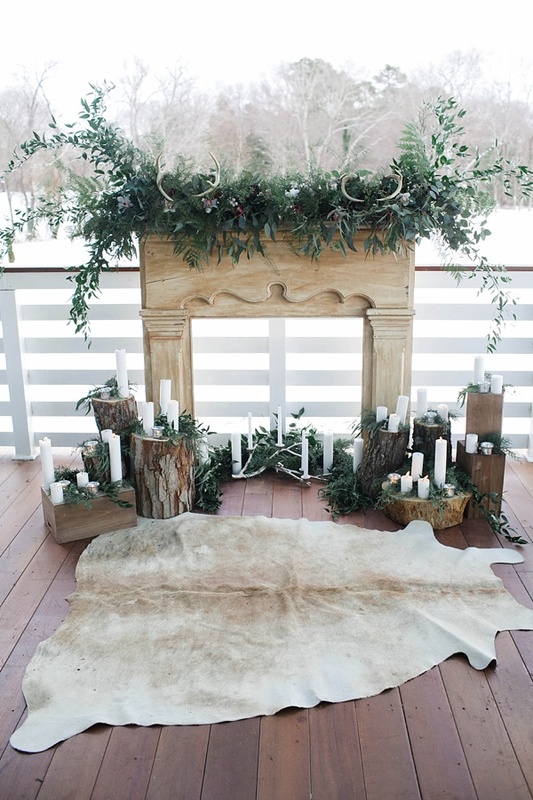 So if you'll excuse us, we're just going to go live inside of this snuggly winter vignette now and curl up by the fireplace!